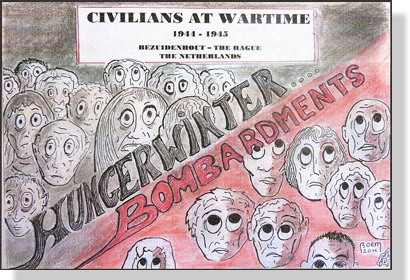 to commemorate the bombing of the Bezuidenhout quarter in The Hague in 1945. The essay included was written in 1946 by his older sister Anneke. Click on the pictogram to find these sketches.